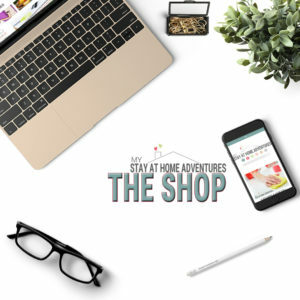 You are here: Home / Making Money / 25 Never Thought Of Ways To Save Money For Christmas You Can Do Today! These 25 ways to save money for Christmas are going to help you save money this holiday season for sure! Christmas is around the corner, and before you realize it, you are struggling financially to meet your budget during December. Though we are only a few weeks away from Christmas how you manage your money today matters and this is why you need to read this post. 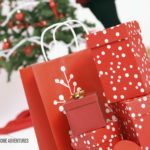 These 25 ways to save money for Christmas will inspire you to save money and enjoy the holiday season the way it was intended. Now some of these money saving ideas are simple, and it will only take you a few minutes to do. And others might have you thinking twice, but I will beg you to at least give some of these money saving ideas and tips a try and you will save money for Christmas. How much you save this holiday is entirely up to you! Having a budget is going to be important when it comes to managing your money this holiday season. If you are going to spend money, then you need this digit app to help you save money while you spend. We use it and have saved over $3K in over a year. 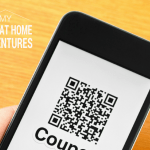 You don’t have to spend hours cutting coupons, but you can take advantage of store coupons that are available. Coupons do help you save money and if you take a few minutes a day you plan your shopping trip you can score significant savings with coupons. Every week set aside a certain amount of money. Even if you don’t have much, then set aside the amount you are saving and set it aside. Putting away money into an account is a great way to save money for Christmas. Many items do go on sale and to be honest if you purchase items at their regular price you are not saving money at all. During the holiday season make sure you buy items that are on sale. Now on that note, hot ticket items are not going to be on sale. If you are waiting for a hot item to go on sale chances are is not going to happen. Writing a shopping list and sticking to it will help you save money. Start writing a weekly menu plan to help you reduce the time in the kitchen and to help you save money too. I know it is so tempting to stop and grab something to eat when you are holiday shopping, but if you want to save money avoid eating out as much as possible. When going to work, please make sure you pack your lunch and avoid buying lunch at work, By doing this, you will save money, guaranteed! Again, I know its cold out there, and you want to warm up with a nice hot cup of overpriced coffee. Skip buying coffee and start making your own coffee at home. I know this sounds easy but seriously it's 2018, and we all know that nothing good comes from smoking. Maybe it is time to cut back and make this a 2019 goal to stop smoking. If you want to save money, then you are going to have to cut down on purchasing alcohol. If you are hosting holiday gatherings and purchasing alcohol, it’s going to cost you money. The solution for this is to have your guest bring their own alcohol. Avoid getting your hair done and use that money toward something you need. If saving money is what you want to do this holiday season, skip getting your nails done and save that money. Social media and apps are making it easier to get rid of unwanted items for cash. Take advantage of these services and start making money for things you no longer want or need. Reducing the cost of your bills is essential and insulating your home during the winter will surely save you money on your house bills. Again, you can take the money saved and use it for Christmas expenses. Make your meals at home, and you will see how much money you will be saving. Use your menu plan and shopping list, and you will see a reduction in your grocery budget. If you are not using it, unplug it. This goes with Christmas lights too set them on a schedule and avoid having them turn on all the time. There are so many ways you can earn Swagbucks and exchange them for gift cards which are going to help you save money. You can learn more about Swagbucks and how to earn free giftcards here. I know you want to make sure your kids have a memorable Christmas, but going broke buying too many toys is not worth it. Keep it real and create memories another way. You don’t need all those channels. Find other alternatives to watching TV like Hulu, Amazon Prime, Netflix, and such. I can guarantee you that there will be tons of Christmas movies there. You can get free HDTV with no annual contract with Mohu. I have paid as low as $15 a month on my smartphone plan and to be honest, you have to look around for smaller companies. If you are interested in finding an affordable mobile carrier, then I recommend my cellular company, Republic Wireless. If you have credit card debt, I will suggest you stop using a credit card and stick to a cash-only budget. And not just during the holiday season but until you have your credit card use under control. Call around and start looking for a lower rate. Every two year we recommend you start shopping for a new insurance company. Make your own laundry soap; it will save you tons of money. Make your own cleaner and use vinegar to clean your windows and as a fabric softener. 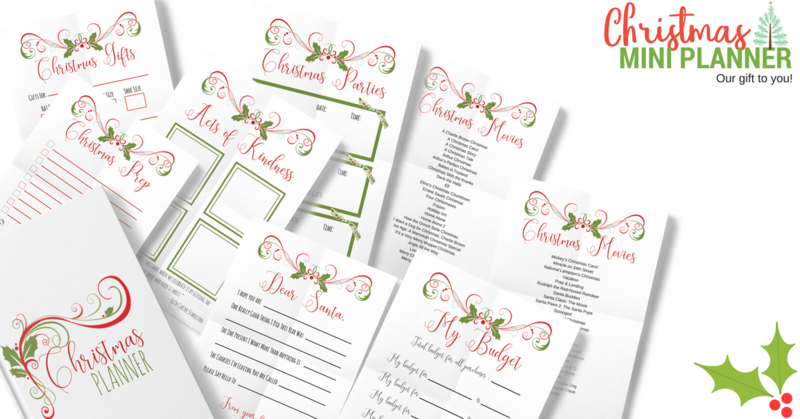 To even help you save money download our 10 page Christmas Planner at no cost to you. Click the photo for more information. 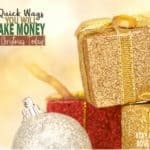 I know there are tons of other ways you can save money for Christmas, but these ideas you have to admit are very helpful. Especially when you are short on time and Christmas day is fast approaching. Now your turn: What other way do you save money for Christmas? Share it with us. I started shopping a couple of weeks ago so that Christmas doesn’t hit me all at one. I also like to use my Swagbucks and InboxDollars for Christmas shopping. Every little bit counts! I haven’t started yet to be honest. I have been saving my Swagbucks and all the money I have save using my phone apps too. Like you said is not a lot but every bit counts! Thanks Alexa! These are great trips. I have to say I agree about the alcohol : ) adds up really really quickly! Great tips!! I love making homemade gifts for the holidays!! I completely agree! Loved the post! HAHA This comment made me laugh. This changes everything about nails now. LOL Thank you! I really need to start saving money for the holidays. I’m so bad with managing money. I could use all the extra money I could get! I love these tips. Everyone keeps saying good things about Swagbucks. I guess I need to check them out! I’m also really bad at budgeting. Yikes! Hopefully my boyfriend can help me out. Thanks for the tips! Hope these tips help, Tiffany. Great tips! I wish we could get rid of cable but don’t think we’re ready yet. Can’t wait til we do a yard sale next year. Great tips! We started putting money aside back in January for Christmas – we didn’t move it to a separate account but it’s earmarked for Christmas so it doesn’t feel like such a shock when we spend a lot! Yes! Great plan. We did it with this 52 week challenge and it feels great. No stress at all because we have extra money saved up for this season. I love coupons but unfortunately SA doesn’t offer many, I do try and keep to a shopping list. These are great tips! I made a Christmas budget this year and use coupons when I can. Woo hoo!! Great start! You will do great this Christmas season. Love this post and very good tips! We make a lot of our own stuff, as well as quite a few on this list and they really do help! I think our downfall is we love to eat out! I need to make more of our own stuff this year. I don’t think your family is the only one that has that downfall. We love to eat here too! Great tips! I always need to save money this time of year! I know you can do it Claire. Thank you, Brittney. Is not about so much about nails but if your are struggling with debt people need to prioritize. Excellent suggestions! We really live in a want world vs real needs when it comes down to it. You point that out well with some of your top 25! I need to budget for gifts to be more prepared, and I love to make my own coffee. We have been trying to cook more at home and it really does make a difference in the checkbook. 🙂 Great tips! What used to kill my finances was eating out. It was until we did a budget that we realized how much money we were spending by simply eating out. Thank you for commenting. Great ideas I needed this! Awesome ideas. 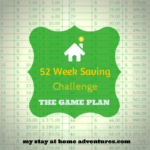 I’m going to check out your 52 week saving thing for next year, too! Go for it is so worth doing this challenge. Ha ha ha! I love that you are having so much fun making it for them. Really good tips. I will try to use Swagbucks more this year. I also need to change our insurance to see if we can save, and I am planning to make even more of our household items in the near future. I’m with you. I need to start investing more on Swagbucks. I’ve been reading of ways people are earning more. It is very necessary to make budget or plan for month. Such a practical and awesome ideas to save money! It`s always a struggle when I want to make someone happy, but don`t have the money for it! The cute mini Christmas planners are awesome!